Functional Nutrition Grand Rounds An on-line, small group. interactive “think-tank” series for clinicians wanting to integrate their evidenced-based learning into practice. A different real case work-up using Integrative and Functional Medical Nutrition Therapy (IFMNT) assessment and intervention will be detailed each 1.5 hr session. Bi-monthly or monthly options facilitated by accomplished IFMNT pioneer, practitioner and trainer, Susan Allen-Evenson RD, CCN and culinary genomic innovator and authority, Amanda Archibald RDN. Case information will be distributed ahead of each class date to allow for participants to review and have input to contribute to discussion of each case. Input is optional – we realize some will attend only in an observational role, at least at first. Want a discount? Become a member by purchasing NLFN Membership - Tier 2 - Gold! To allow for an optimal interactive experience, registration is limited. If you will be reviewing recordings more than you’ll be attending live (or for those listening to recordings only), please make note at time of registration. Once capacity is reached, and there are at least 10 on a waiting list, we will open a new day/time for another series. Due to this registration limit, those registered for a 6-month subscription will only have access to their day’s cases. 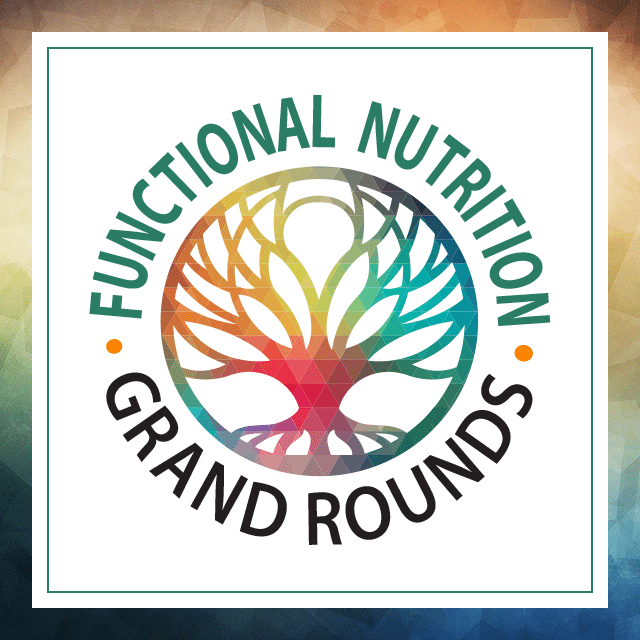 Due to an overwhelming response, we expect Functional Nutrition Grand Rounds to sell out. Register now to get your savings! Subscription Options: Choose either Tuesdays, Saturdays or both! Payment option: Pay in 4 monthly installments of $100.62 each. Payment option: Pay in 6 monthly installments of $109.72 each.